Price Includes :- Flights, Accommodation, Transfer. Beausite Park Hotel is a beautiful hotel situated in the wonderful ski resort Wengen. Saturday 7th December 2019, 7 nights, Half Board. Includes Flights from Gatwick, Price per person. Saturday 14th December 2019, 7 nights, Half Board. Price Includes :- Flights, Accommodation, Transfer. Built in 1989, the charming traditional Hotel Maya Caprice is situated in one of Wengen's most beautiful spots within moments of the slopes. Includes Flights from Luton, Price per person. Saturday 4th January 2020, 7 nights, Half Board. Price Includes :- Scheduled flights, Accommodation, Swiss Rail transfer. Everyone will find an accommodation which suits his or her needs, whether travelling alone, with the family or in a group of friends. Price Includes :- Scheduled flights, Accommodation, Swiss Rail transfer. This traditionally styled, family-owned property offers all the charm you could hope for in a Swiss hotel. Includes Flights from Heathrow, Price per person. Price Includes :- Scheduled flights, Accommodation, Swiss Rail transfer. First opening in 1894, the Regina has been a popular hotel for many years having been renovated and upgraded by generations of the Meyer family. Price Includes :- Scheduled flights, Accommodation, Swiss Rail transfer. Being one of the few hotels with a pool in Wengen, this is a popular choice for families. Saturday 7th December 2019, 7 nights, Bed & Breakfast. Saturday 14th December 2019, 7 nights, Bed & Breakfast. Saturday 21st December 2019, 7 nights, Bed & Breakfast. Price Includes :- Scheduled flights, Accommodation, Swiss Rail transfer. Built in 1912, the hotel is rich in “art nouveau” style from the imposing bar and lounge area, with its large, open fireplace to the classic dining-room. Price Includes :- Flights, Accommodation, Transfer. This family run hotel has been running for over 100 years and is one of the original hotels in Wengen. The2019/2020 ski package deals featured on J2Ski include cheap ski holidays to Wengen as well as luxury chalet holidays and family ski vacations. The price quoted usually includes flight and ski accommodation in resort, though many can be booked with alternative travel to Wengen. Ski and Snowboard Holidays to other Ski Areas within Jungfrau Region. 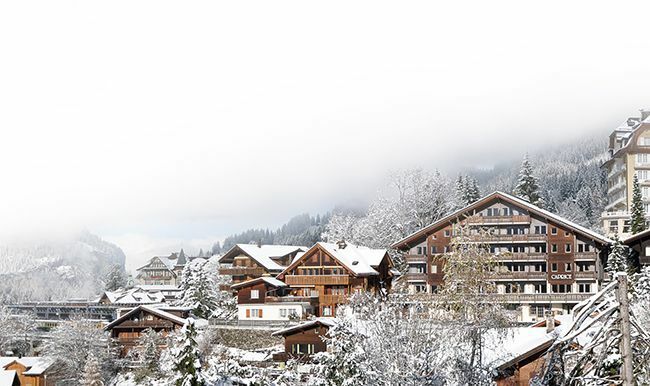 Ski and Snowboard Holidays to other popular Ski Areas near Wengen. Ski and Snowboard Holidays to popular Ski Areas in Switzerland. Ski Hire Shops in Wengen. Piste and Lift Stats for Wengen, Switzerland. For current snow conditions, see our Wengen Snow Report.